(Newser) – The death of 10-year-old Caleb Schwab on the world's tallest waterslide was even more horrific than early reports indicated, a source tells the AP. The source says the boy, son of Kansas lawmaker Scott Schwab, was decapitated in the accident, which is being investigated but hasn't been explained by authorities yet. 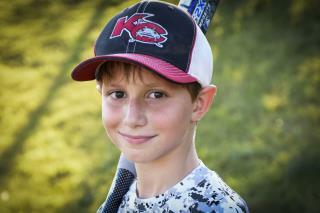 Police initially said Caleb died from a "fatal neck injury." Riders on the 168-foot "Verruckt" slide at the Schlitterbang park in Kansas City, Kansas, are strapped onto rafts. After the tragic death, park visitors came forward to say that they had experienced problems on the slide ranging from restraints coming loose to rafts actually flying into the air, the Kansas City Star reports. Forrest T will blame ISIS and/or Mexicans.